For just under a decade Demarkus Lewis has released over 100 singles and remixes . He has kept true to his roots in the underground sound whether it be deep soulful house or the heaviest of techno/tech-house outings. Known for his ability to go deep while maintaining the energy to keep the dance floors moving, he has proven to be diverse artist. For just under a decade Demarkus Lewis has released over 100 singles and remixes . He has kept true to his roots in the underground sound whether it be deep soulful house or the heaviest of techno/tech-house outings. Known for his ability to go deep while maintaining the energy to keep the dance floors moving, he has proven to be diverse artist. The year 2000 marks Demarkus signing his first record deal with Swerve Records. Since then, his name has appeared on several labels such as End Recordings, Slip n Slide, Low Down, Siesta Music, Large Music, Shack Recordings, Black Vinyl, Kapa Music, Nightshift Records, Brique Rouge, Robsoul, and Conya Records just to name a few. His music has also been featured on several dance music compilations including Seamless Recordings' Bargrooves series, DJ Mag's 'DJ Face Off' cd comp, Mark Farina's 'Live at Om' compilation on Om records, Slip n Slide presents Ibiza and Roger Sanchez' Release Yourself. In 2005 Demarkus launched Grin Music as his home base label. Grin began as a deep house label while now, 3 years later, it has morphed into a blend of house and techno. 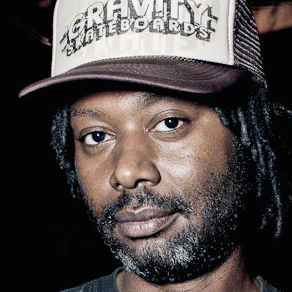 Alongside housing some of his own productions, Grin has featured artists such as Chicago's Gene Farris, Timmy Vegas of Soul Central and DBR aka Rhythm Slaves. As a DJ with over 18 years experience , Lewis has performed in venues like Stompy (San Francisco) Club Rayo (Argentina), Metro Bass (Rotterdam), Silo (Belgium), H20 (Belgium), The Office (Republic of Georgia), Propaganda (Moscow), Neighborhood (London) and Tresor (Berlin) to name a few. Demarkus is currently focusing on his label as well as finding time to do guest mixes on radio shows and clubs around the globe.